When designing products engineers select metals that have specific properties. What many engineers don’t realize is that when they select a metal with certain properties that they are selecting a composition and a microstructure. This is because the properties of any metal, and in fact any material, depend on two fundamental factors: composition and microstructure. Manufacturing defects such as voids, inclusions, and seams can also affect the properties of a metal. However, since we usually try to prevent or minimize defects, their effects will be ignored, at least for this discussion. For metals, composition refers to the elements present in a metal and their relative amounts. For example, a 1060 carbon steel contains iron, 0.55 to 0.65% carbon, and 0.60 to 0.90% manganese. Microstructure refers to the grains and metallurgical phases within a metal and the shape, size, relative amounts, and locations of the phases. A metal’s microstructure can be observed with a microscope after proper preparation of the metal sample. Many microstructures can be observed with an optical microscope at magnifications between 25x and 1500x. Observing microstructure features smaller than about 0.001 mm requires the use of an electron microscope. 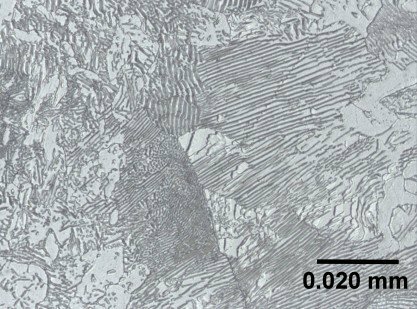 The microstructure for the Cu-30% Zn brass shown below consists of grains of alpha brass. The microstructure for the Sn-37% Pb solder shown below consists of lead particles (dark) in a tin matrix (light). A metal’s microstructure depends on two factors: its composition and the thermal and mechanical conditions to which it was exposed during manufacturing (the effects of thermal and mechanical conditions during product use will be ignored, which is acceptable for some applications and not for others). For any particular composition different microstructures can be formed within a metal depending on the manufacturing process and process parameters used to form the metal. For example, consider a 1060 steel that has been heat treated two different ways. 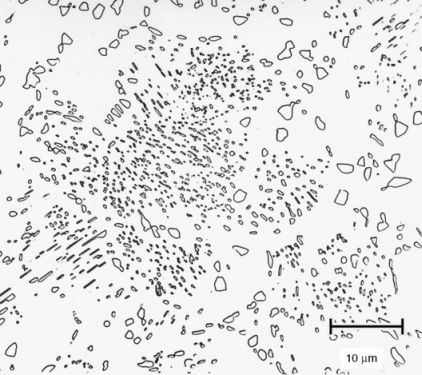 The microstructure for the sample shown below consists of pearlite and some ferrite. 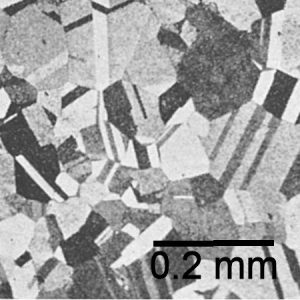 The microstructure for the other sample consists of spheroidized cementite in a ferrite matrix. The differences in the microstructures resulted in different strengths and hardness for the two metals. The sample with pearlite was stronger and harder than the other sample because pearlite is stronger and harder than spheroidize cementite. 1060 steel: Spheroidized cementite. Reprinted with permission of ASM International. All rights reserved. Understanding the relationship between properties, composition, microstructure, and processing is critical to 1) selecting a material and the manufacturing processes for fabricating a component and 2) controlling the properties of the material. These properties include those that are important for ease of manufacturing and those that are important for the performance and reliability of the component being fabricated. By selecting and controlling the metal composition and microstructure for the components used in a product it is possible to make products that meet their performance, reliability, and cost requirements. It is important for engineers to recognize that metals, or any other type of material, are not a slab of stuff, but instead consist of various microscopic structures that can be manipulated to obtain specific properties. Engineers that are good at selecting and controlling these microscopic structures increase their chances of making successful products. 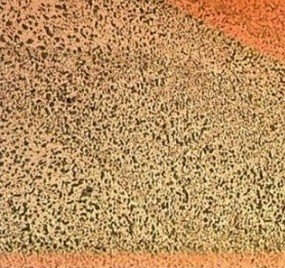 More information about the effects of microstructure on properties and the effects of processing on microstructure is in our Principles of Metallurgy, Metallurgy of Steel Heating, and Corrosion of Metals courses. There are also many books that discuss the relationship between processing, microstructure, and properties.